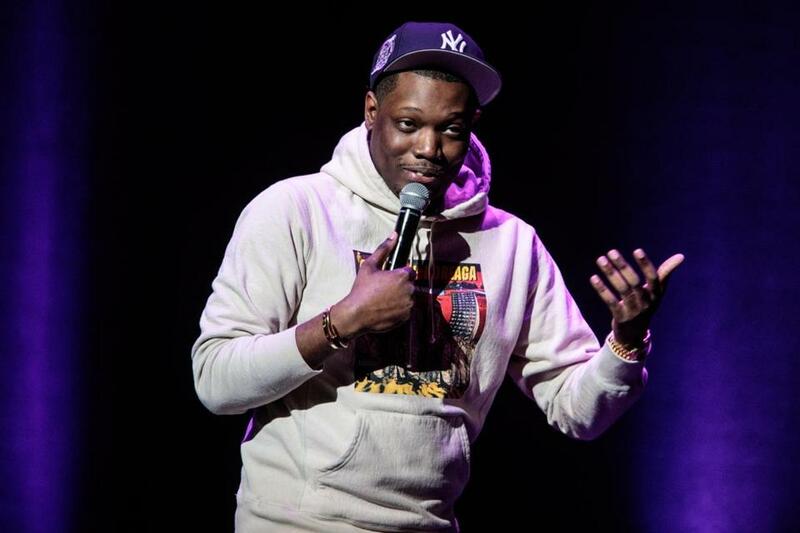 Michael Che performed at the Wilbur Theater in Boston on Friday. Michael Che didn’t mean to surprise you. He thought you knew already. With his casual comment earlier this year that Boston is “the most racist city I’ve ever been to,” the “Saturday Night Live” comedian set off a minor Dumpster fire of howls and denials. On Friday, in the first of two shows at the Wilbur Theatre, he addressed the controversy as soon as he stepped onstage. “I had no idea that was news to you,” he deadpanned. The shows marked Che’s return to Boston after an appearance at Boston University in March, when he implied that he felt no need to apologize. The comment that has followed him around like a mini-mall security guard occurred in an “SNL” segment the night before the Super Bowl, in which he expressed hope for the Atlanta Falcons, the team from “the blackest city in America,” against the Patriots. A common theme threaded the responses from the people who took exception, he said Friday. Many claimed that Boston is “the most liberal city in the Northeast,” where “you’re free to be whoever you are.” Unless, he added, you’re wearing a Yankees hat. Which he was. Boston, of course, has long grappled with a history of racism. In March, Mayor Martin J. Walsh said he’d love to sit down with the comedian and talk about the strides made in recent years to eradicate racism. On Instagram recently, Che joked that his return appearance would result in triumphant headlines proclaiming the end of racism in Boston. At press time, it was still too early to say whether he’d succeeded. Some who came to Boston’s defense pointed out that the city didn’t vote for the current president, Che said, setting himself up for an easy segue. He’s actually happy the guy is in charge, for the hilarity, he said. Black people, he claimed, have found it harder to get worked up about the Trump administration than white liberals. Is he really the worst president? “The first 15 owned people,” he said, slowing down for emphasis. With time running out, Che made an apparently spontaneous decision to tell a story — “100 percent true,” he said — about the last time he was in Boston, for the BU gig. After the show, he went by himself to a certain Sinatra-themed cocktail lounge. While he sat at the bar watching “The Late Show with Stephen Colbert,” a drunk danced up behind him. It was cold out, and Che had his heavy winter coat on. The guy grabbed his hood and pulled it down over Che’s face. The man wanted to commiserate. They both looked up at the TV to see Jon Stewart join Colbert onstage. E-mail James Sullivan at jamesgsullivan@gmail.com. Follow him on Twitter @sullivanjames.